They used to say "home taping" was killing music, now it's meant to be internet downloaders. But the real pirates these days are crime bosses - and the rewards are plentiful. The net has given rise to many novel ways of doing business but the methods of the Recording Industry Association of America has got every twisted e-commerce scheme beaten. Last month, the association began suing hundreds of its customers. For the RIAA - which represents the major US recording companies - this makes perfect sense. The people being sued are sharing music with millions of others via peer-to-peer networks such as Kazaa, Grokster and Morpheus. This tidal wave of subpoenas is the latest in a series of steps the RIAA has taken to stop "file-sharing" which, it believes, is causing CD sales to fall through the floor. According to the RIAA, CD sales dropped by 10% in 2001 and a further 6.8% last year, largely because of file sharing. But the figures tell a different story. In America and the rest of the world the biggest culprit in falling music sales is large-scale CD piracy by organised crime. 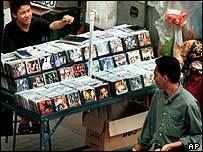 In just three years, sales of pirate CDs have more than doubled, according to the International Federation of the Phonographic Industry (IFPI). Every third CD sold is a pirate copy, says the federation. The IFPI's Commercial Music Piracy 2003 report, produced in early July, reveals pirate CD sales rose 14% in 2002 and exceeded one billion units for the first time. The pirate CD market is now so big, $4.6bn (£2.86bn), it is "of greater value than the legitimate music market of every country in the world, except the USA and Japan". In some countries it is hard to find legitimately produced CDs. Ninety percent of CDs in China, for instance, are pirate copies. Counterfeiters have forced the price of a fake CD down to about $4, which only makes CDs in the music shops look even pricier. Embarrassingly major record labels and distributors have been fined twice by the US Federal Trade Commission for price fixing their products. However, pirates are not solely responsible for the crisis in the music industry. After all, it is actually producing CD titles. According to the RIAA's own figures, over the last two years the US music industry has produced 25% fewer CDs. The peak of production was in 1999 when 38,900 individual titles were released. But by 2001 this was down to 27,000. Releases grew again in 2002 but were still below the previous high. Musician George Ziemann says if only 3,000 copies of each of the "missing" CDs were sold, the fall in sales would be wiped out. For Mark Mulligan, an analyst with Jupiter Research, the music is weathering a hangover after the 80s and 90s boom, when everyone was buying CD versions of their old vinyl records. 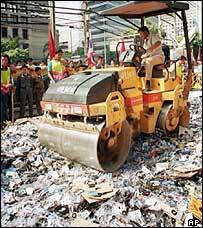 "Now the CD replacement cycle has drawn to a close," he says. Also the global decline in CD sales is taking place against the background of a general economic recession that is depressing sales of almost everything. After piracy and the production of fewer CDs comes the changing dynamics of the music industry. Many of the people using file-sharing systems are looking for singles. By contrast the music industry is focussed on shifting albums. This is reflected in sales figures. In the US sales of CD singles generate only a few percent of the total market. In the UK, it's 10% of all revenues. 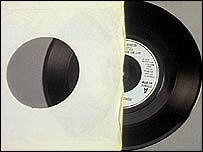 Typically, singles are used to drum up support for an album, being hyped weeks in advance and played heavily on radio and TV long before they go on sale. With nowhere to get these singles and no desire to buy an expensive CD album just for one song, it is no wonder many fans turn to file-sharing systems. Finally, music just isn't as important to young people as it used to be. 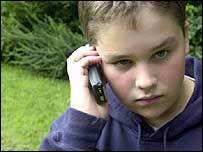 There is more competition than ever for the cash in a teenager's pocket. "Youths are no longer defining themselves by music in the same way they used to," says Mr Mulligan. Now, he says, brands, clothing and lifestyle are as important as music. Added to this is the rise of the mobile phone, the increasing popularity of computer games and DVDs. In the past the music industry had young fans almost to itself. Now it has to compete for the limited cash in a young person's pocket like never before. The music industry cannot hope to sue everyone using file sharing to find music as that would take hundreds of years and already the US legal system is complaining about the work the RIAA is heaping upon it. 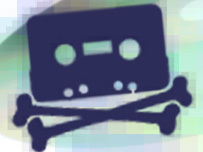 There is no doubt that some piracy is going on via peer-to-peer systems but maybe not to the extent the RIAA fears. Perhaps it is about time they sang a different song.